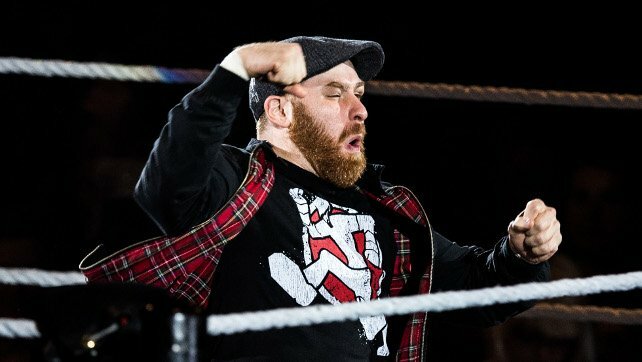 In a French interview with TVA Sports, Sami Zayn talks about his RAW comeback and crafting his new heel persona. While many in WWE don’t have the privilege of crafting their own promos and character work, Sami was given the opportunity on this instance. I had a model of the promo that I wanted. I sat down with an agent and dictated my promo. He wrote it and passed the validation process. I don’t know if I’m one of the people who has that privilege. But that night, I had a chance to say what I personally wrote. Sometimes you say things you don’t necessarily want to say in a promo. And sometimes it’s more like what you had in mind. Many fans had already guessed this, as the promo had similarities to thoughts shared on the Talk is Jericho podcast. Zayn shared in the interview that recently departed writer Robert Evans helped him form his new character. Sami wants to create something unique that hasn’t been seen before, similar to Daniel Bryan’s recent shift into an eco-warrior. As for his return in Montreal, Zayn stated that he knew about it just a few days before the event. In a “very optimistic scenario”, he was set to return for the Royal Rumble, but that didn’t happen. Instead, he got the call for the RAW after WrestleMania. He originally was just going to get promo time, but plans changed to a backstage segment and then a match on the day of the show.